Fall is on its way and Winter won’t be far behind. Many of us don’t mind the different seasons because we like the cooler temperatures, seeing the leaves change, and cooking comfort foods like soups and stews. It was during a discussion about favorite soups and stews that gave us an idea for a Winter series of RainyDayKitchen articles on slow-cooker cooking. 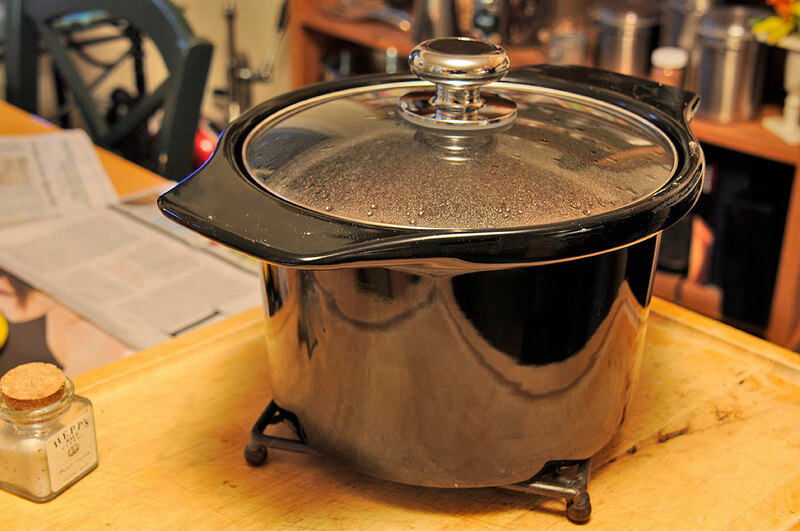 Most of us who grew up in the 70’s have used crock pots at one point or another. The ones most of us had back then were simple devices comprised of some kind of ceramic pot with an electric heating element at the bottom. They had an on/off switch but not much else. We thought it was time to see how things have progressed since then. We did some research and found a few cookers (Calphalon , Cuisinart , DeLonghi ) which interested us. 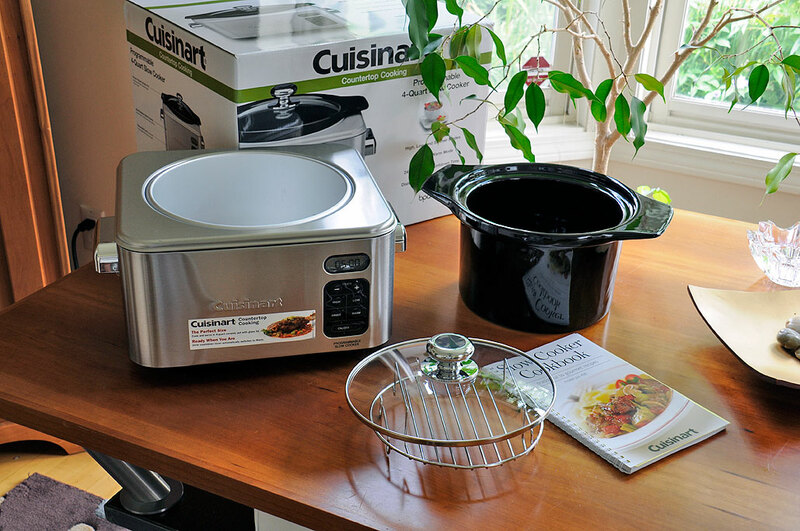 After considering their features, price, and styling, the one we decided to look at first is the 4-Quart unit from Cuisinart. We did a quick test with a recipe from the web (Hungarian Mushroom Soup). The prep was simple and programming the timer was just as easy. One thing was sure, we forgot how nice it was not to have to watch the pot when making soup. The soup came out tasty, but a little thinner than we had expected (we thought there’d be more breakdown of the solids). It will probably take us a few go to get the feel for cooking this way. Unlike our old crock pots, cleaning up is so easy. Both the lid and the pot are dishwasher-safe. Having a removable pot meant we didn’t have to worry about getting the electronics wet. An additional benefit is that we can get additional pots to use with the cooker. We are now on a hunt for slow-cooker specific recipes to see just how far we can take this slow-cooking thing over the Winter. 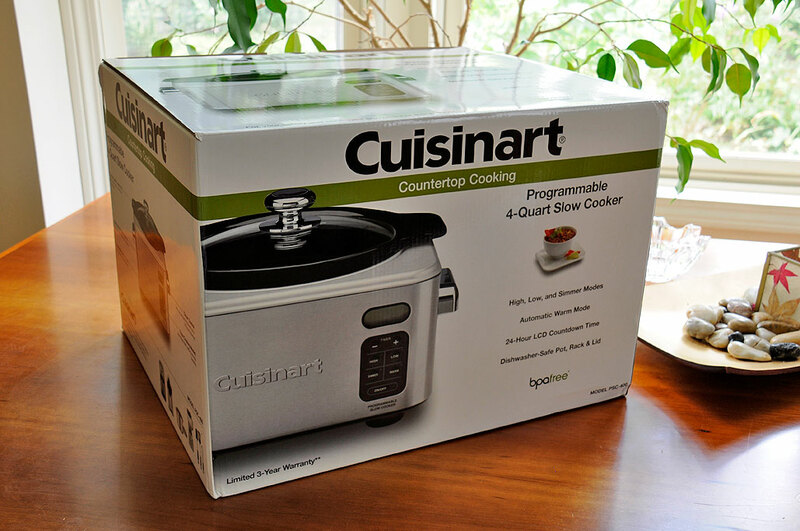 Not your parent's pressure cooker!! !